For our customers using the Team Functions, we have added the ability for Power Users and Independent Users to assign to-do’s to the Team Leaders and Administrators, and vice-versa. This is a valuable feature when The Team Leader and Administrators are helping the Power User complete tasks that apply to contacts in the Power User’s database. You will see the additional options when creating the To-Do in the “Assign to” dropdown list, and also on the Re-Assign option from the To-Do List. 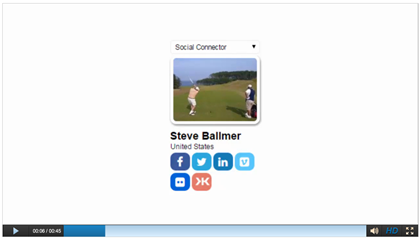 For more information, click here to read our Knowledge Base articles about the Social Connector. You can have this “on”, “off”, “optional, default off” (per account), “optional, default on” (per account). Let us know if you want to have this turned on. One update was made to Landing Page Forms, you can now have the Contact Fields display after the Extra Fields. If you are using Extra Fields, you will now see this option on the left column on the Form Tab. We’ve updated the Birthday Assistant Notes. It now has a birthday icon when it adds a note. And we’ve now included the Analytics with the emails that are sent automatically.